Objects form complicated graphs. 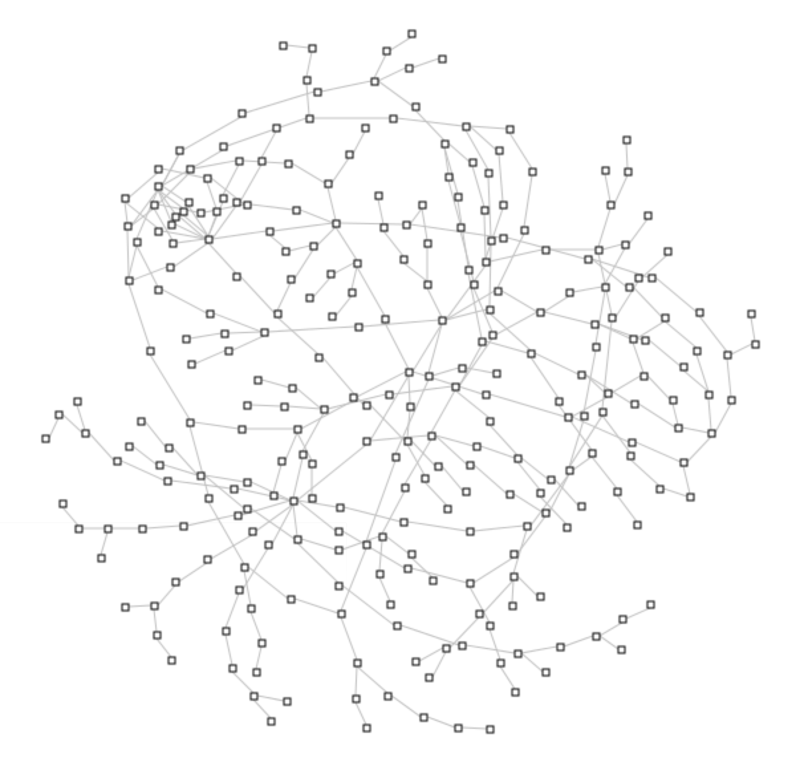 Understanding complicated graphs requires a broader perspective on these graphs. Yet, developers are most often exposed to only one node at a time, and there are limited tools available to navigating and slicing these graphs. self allSubclassesDo: [:each | all add: each ]. a construction of the result collection. Interesting enough, in the Moose image, we have four allSubclasses methods in different hierarchies, and all of them essentially work in the same way only with different types of objects. submorphs do: [:m | m allMorphsDo: aBlock]. Hardcoding the traversal inside the code is a possibility but it requires tedious construction of the traversal code. A different way of approaching this problem is to model a generic traversal that can be parameterized. This idea was coined by Lieberherr etal (see Traversals of Object Structures: Speciﬁcation and Efﬁcient Implementation). If we take this way, the solution consists in modeling a traversal as a first class object. (Smalltalk globals at: #ConfigurationOfDeepTraverser) loadDevelopment. Trigger actions for each traversed object and each relation between two connected traversed objects. Traversing objects is delegated to a DeepTraversal, and the action triggering is delegated to DeepActionStrategy. traversalBlock: [ :each | each subclasses ]. relationAction: [ :from :to | Transcript show: from; show: ‘ <-- '; show: to; cr ]. The do: block is triggered on every traversed object, while the relationDo: block is triggered on every relation specified by the traversal between two traversed objects. In our case, the transcript will print every subclass of Number and every inheritance relationship between these classes. The examples above referred to trees of objects. What happens when we start dealing with graphs that contain cycles? The DeepTraverser can traverse any kind of graphs due to a simple cycle detection in the traversal algorithm (this solution was inspired by a first implementation by Mariano Martinez Peck). relationDo:  [ :from :to | view edge: from->to from: from to: to ]. Perhaps having all these methods in Object can be seen as expensive given that all subclasses inherit them. But, traversing objects is a recurring requirement. On the one hand, we have all existing hardcoded traversals that essentially implement the same thing over and over again. On the other hand, when traversals become directly available all the time, you can craft advanced analyses during inspection time more cheaply. And this is at the very heart of humane assessment.